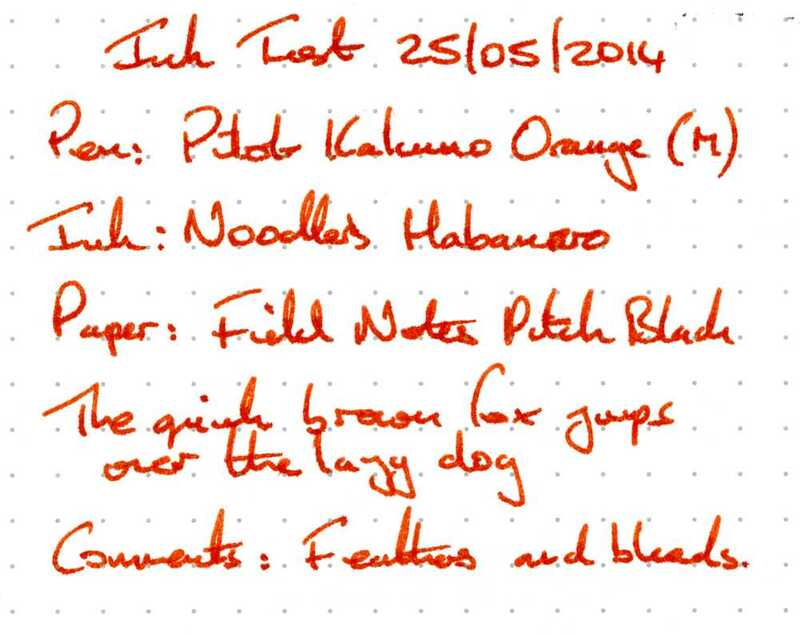 The test pen used on this occasion was a Pilot Kakuno. 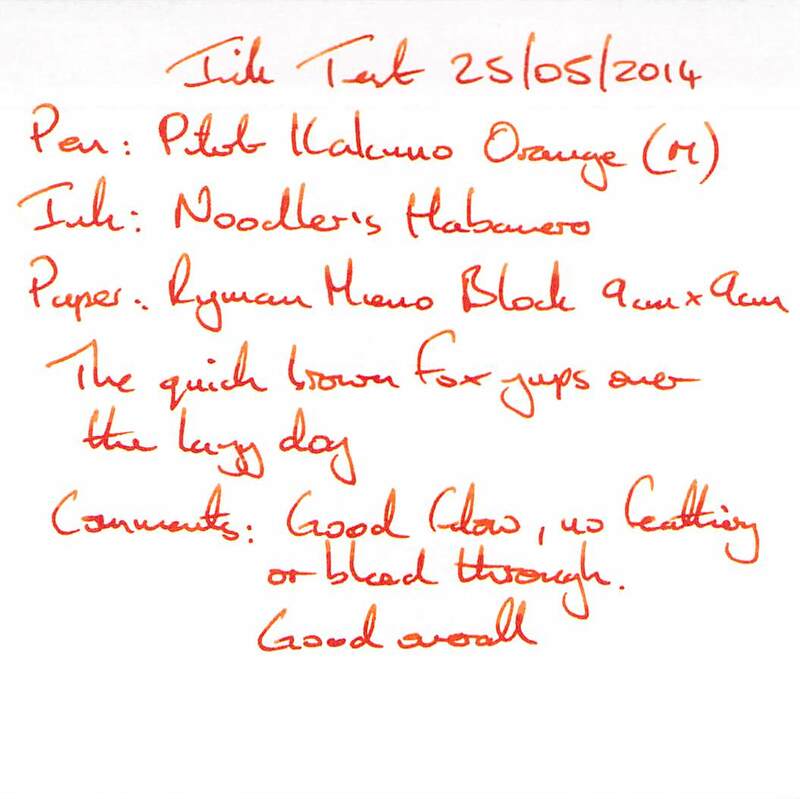 All the Pilot MRs were already inked up, the colour suited the pen, and the nib is similar to that of the Pilot MR. The box is the usual white cardboard Noodler’s one with black line art. 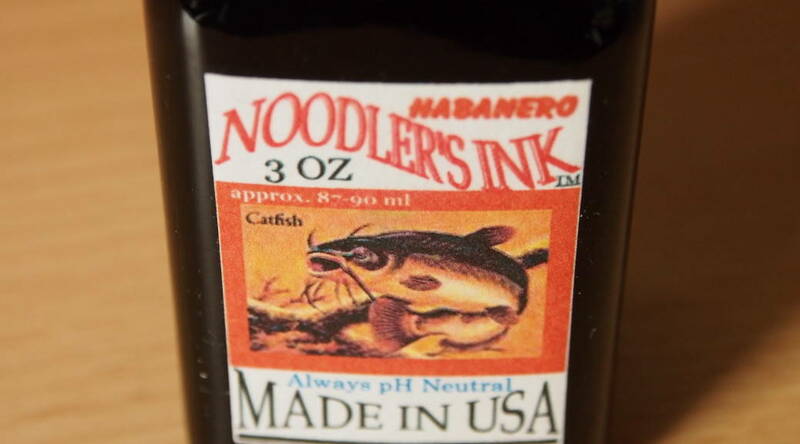 The bottle too is the standard no-nonsense type, with a simple “Catfish” label. The neck of the bottle is comfortable and the bottle was filled to the brim. 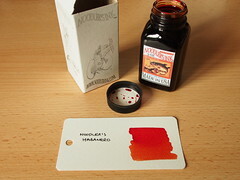 This ink showed no water resistance, with only faint staining left on the paper. The text was also easily obliterated with a few drops of water. The drying time on Rhodia was a real surprise. 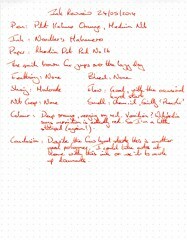 I had noticed that the writing sample on Rhodia smudged easily, but I put this down to clumsiness. When I actually tried to time the drying time after a few attempts I gave up after five minutes. I even checked a sample well after 10 minutes and it still wasn’t fully dry. I test the drying time by drawing a series of vertical lines, leaving them for a set period, then dragging my finger over them to confirm the line has dried – nothing radical there. The issue here is that ink would pool at the bottom of each line – this is not unusual in itself, but in this case the rest of the line would dry, but the small pool would not (at least not for ages). Of course it must dry eventually (otherwise the Rhodia writing sample would still be wet), but this is something to be cautious about. Overall the writing experience was good, although I did experience some hard starts. I really like the colour, which shades from orange to red. 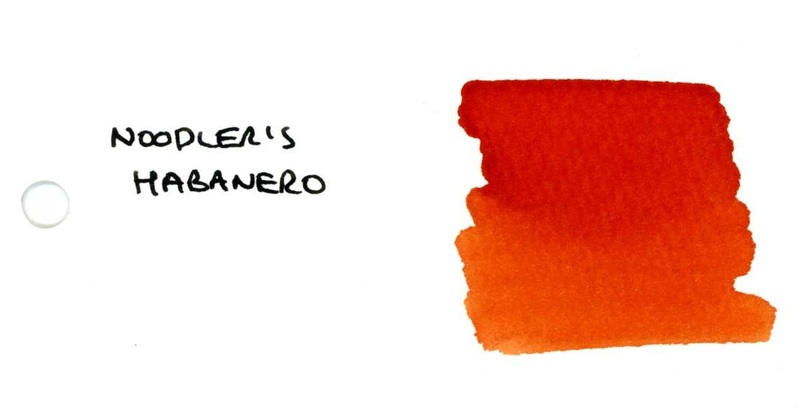 This is the root of the problem in describing the colour – I will settle on deep rich orange. This was the first time I noticed the tendency to smudge easily. Again the writing experience was good. Smudging was less an issue here because the ink soaked into the papaer. Coverage was okay, and overall the experience was good. The ink feathered and bled on this paper. It also took on a brownish tinge not seen on the other papers. This also gives an idea of the shading range – it also took ages to dry. 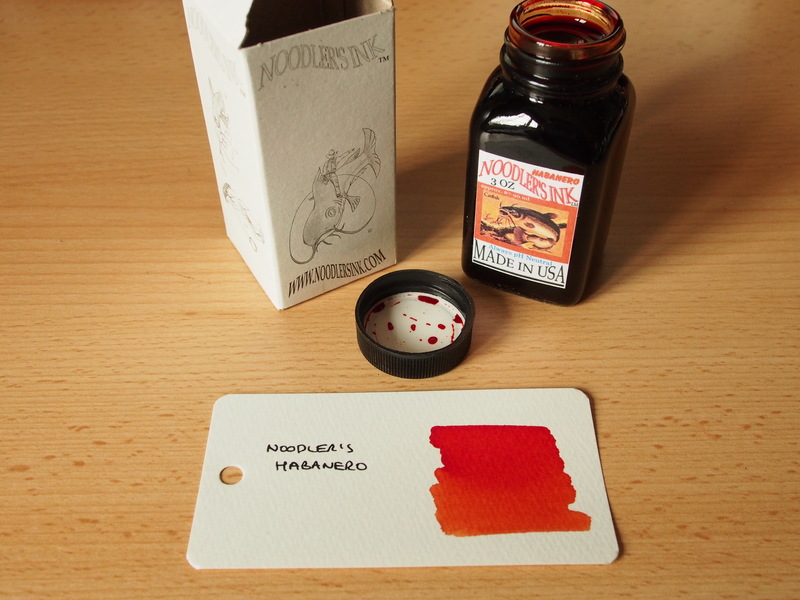 This is a really attractive ink with lovely shading. The problem is that the shading in this case comes at a cost – the drying time. 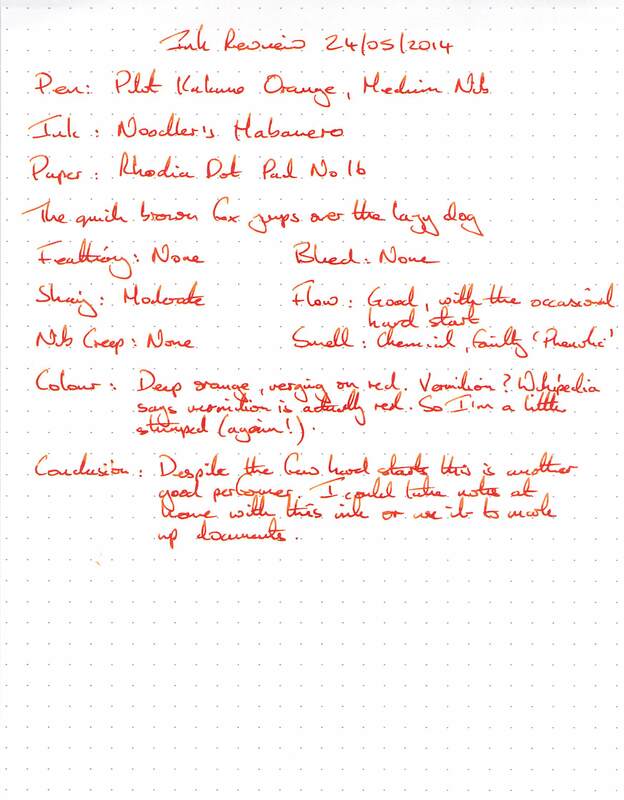 If I didn’t use Rhodia for most of my note taking I could see myself using this ink regularly. 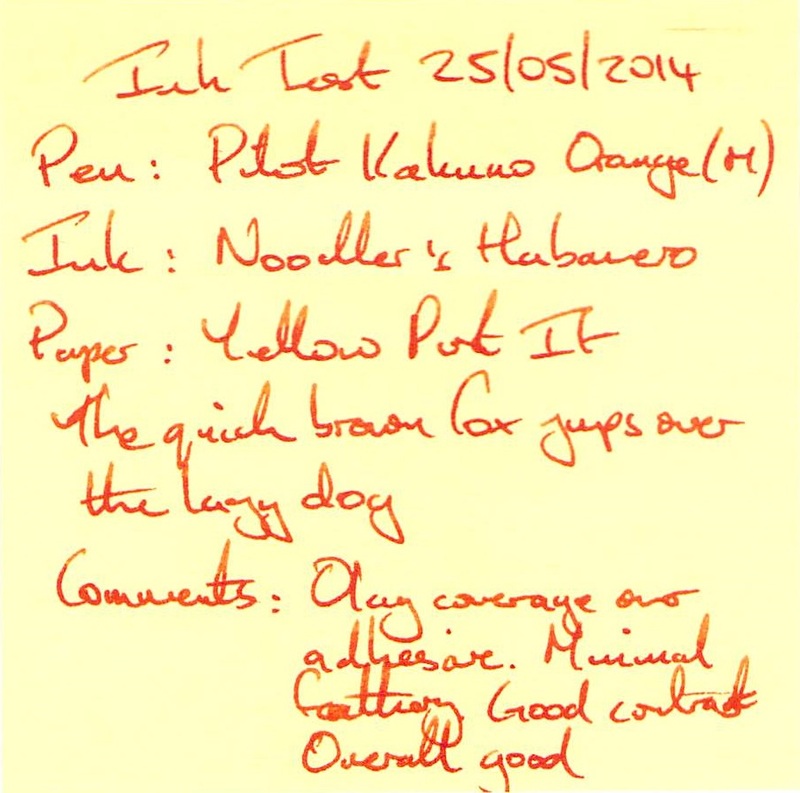 I’ll have to try it in a drier pen sometime to see if this has an effect, but I won’t be using it for the time being.